Preheat oven to 350 degrees. 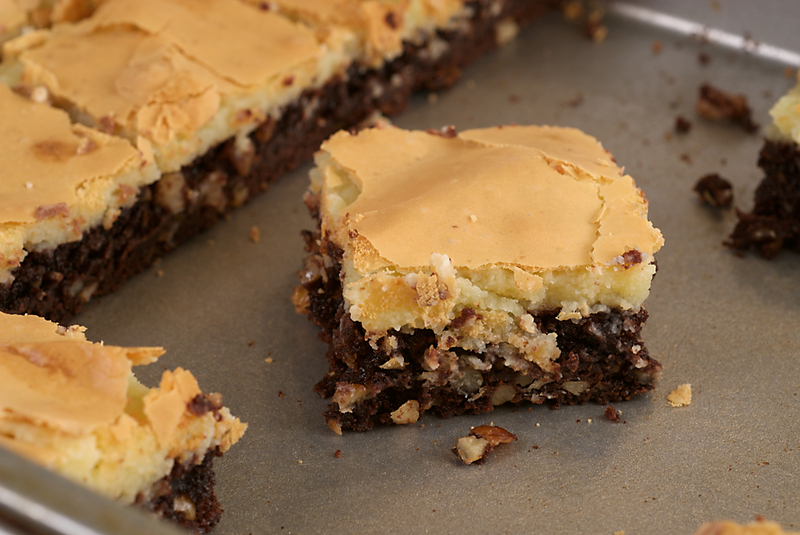 Mix the cake mix, egg and butter and press into the bottom of a greased 9×13-inch pan. Then mix cream cheese, three eggs and powdered sugar and pour over the base layer. Bake for 35 minutes.